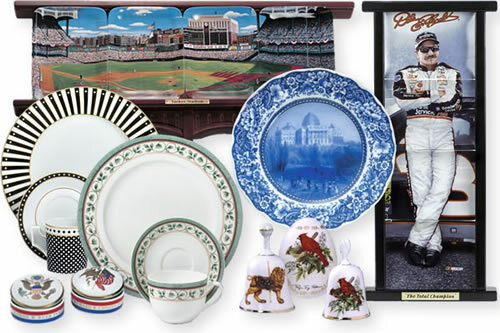 Design Point creates the world's finest ceramic decals for porcelain, custom dinnerware, ceramic figurines and glass. But our expertise extends far beyond custom decals! We also create a wide range of high quality personalized ceramic gifts, personalized giftware, ceramic tile murals, custom dinnerware and collectibles in porcelain, cold-cast porcelain and bronze, and resin- from design concept to delivery of finished product - for a growing list of leading marketers. Browse through our Design Showcase to see samples of our ceramic decal design work. Award-Winning Design and Quality. Superior Customer Service. Design Point is famous for outstanding ceramic decal design and quality, earning us numerous awards from respected industry associations. Add to this our fast turnaround and superior customer service, and it's no surprise that we have earned so many satisfied, long-term customers, including some of the biggest manufacturers of giftware and fine china in the world. Contact us to find out how we can help you with your decorative giftware needs. Professional ceramic decals for ceramic dinnerware, tableware, decorated tile murals, giftware, figurines, collectible plates, commemorative plates, and custom personalized photo gifts. Copyright © 2004 Design Point Decal Inc.